Light to medium brown colored skin with a white to pale yellow flesh. 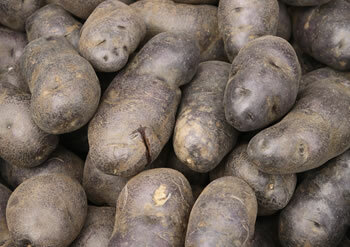 This variety is low in sugar and becomes fluffy and light when cooked. 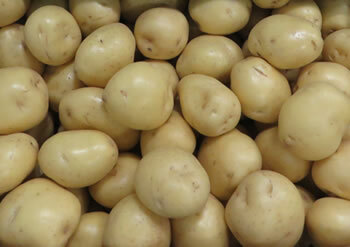 Small to medium sized potatoes with a smooth, waxy texture. 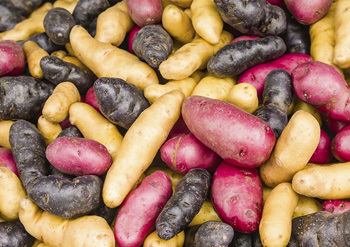 These vibrant red potatoes add color and flavor to any meal. 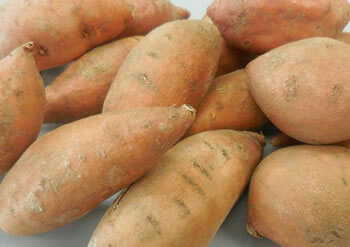 Long, tapered shape variety that has a naturally sweet flavor making them ideal for any side. 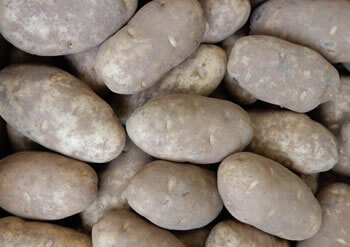 This light tan to golden skin variety has a slightly sweet, buttery flavor. 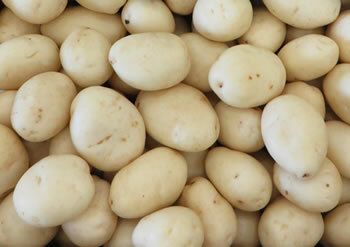 Small to medium potato with a thin, delicate skin makes it ideal for mashing. This variety is low in sugar with a subtly sweet flavor. This unique and colorful variety has a firm flesh and a nutty flavor, making them ideal for salads. These finger-shaped or oblong potatoes have a buttery, nutty flavor. 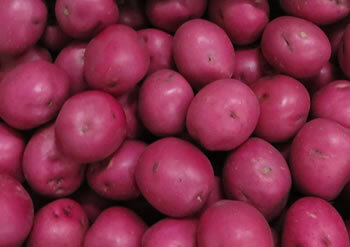 With colors of red, white and purple, this variety brings a unique twist to a side dish or salad.